A citizen has shared a very disturbing response to a public records request that she made to the city of Duvall for some records regarding the city’s communication with Mr and Mrs Pennington including Sgt Lori Batiot and Mayor Iborshof. 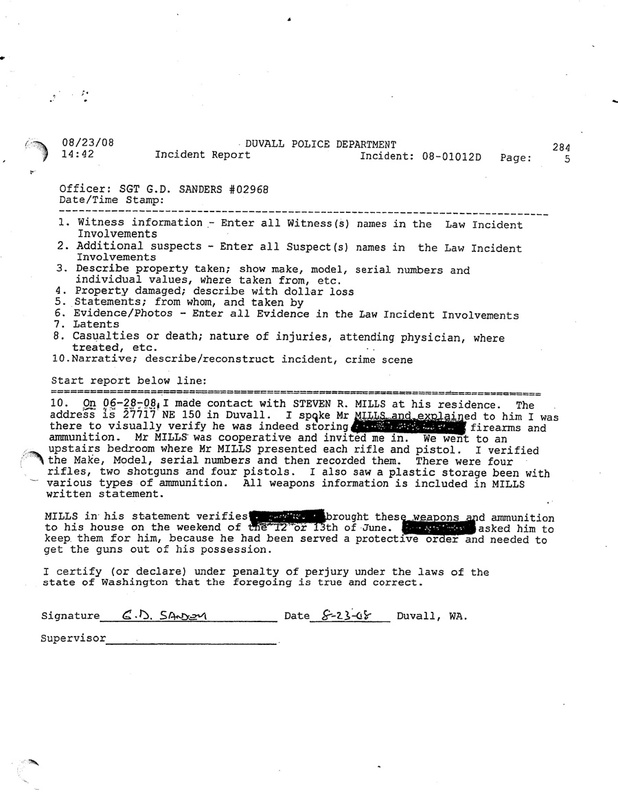 This department has received a Public Disclosure request for a police record that involves you and information that might not be in the public interest and might be substantially and irreparably damaging to you if released. In my records I found something very strange but I didn’t really think anything of it until now. 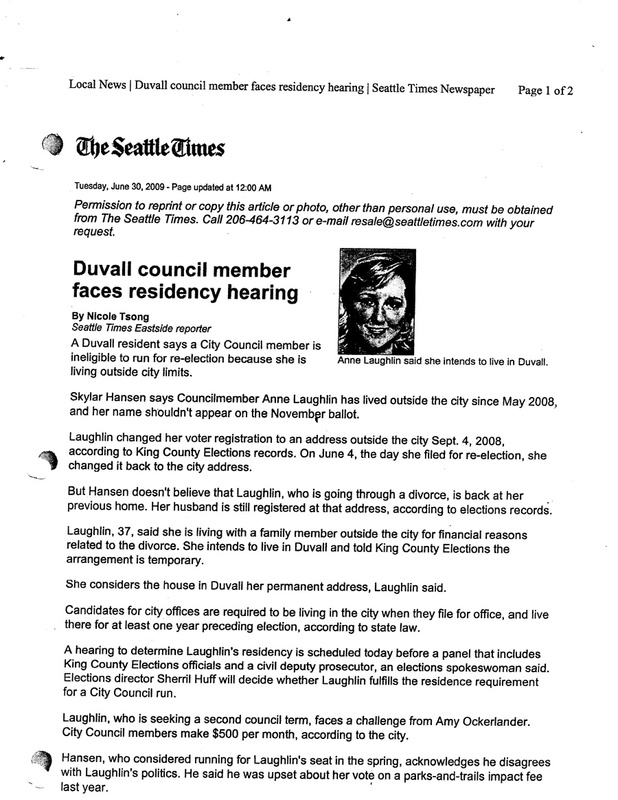 History: Mr Pennington’s last wife was a Duvall City Councilwoman, she had to flee her home to escape Mr Pennington’s abuse. In the meantime he was stalking her, and hiding his guns at a friend’s house after repeated attempts by the police dept to seize the guns and ammunition. That is just what the city of Duvall needs is a council member who takes the time to attack a woman who is being beaten and abused so he can further his own interests. Champ of a guy that he is. 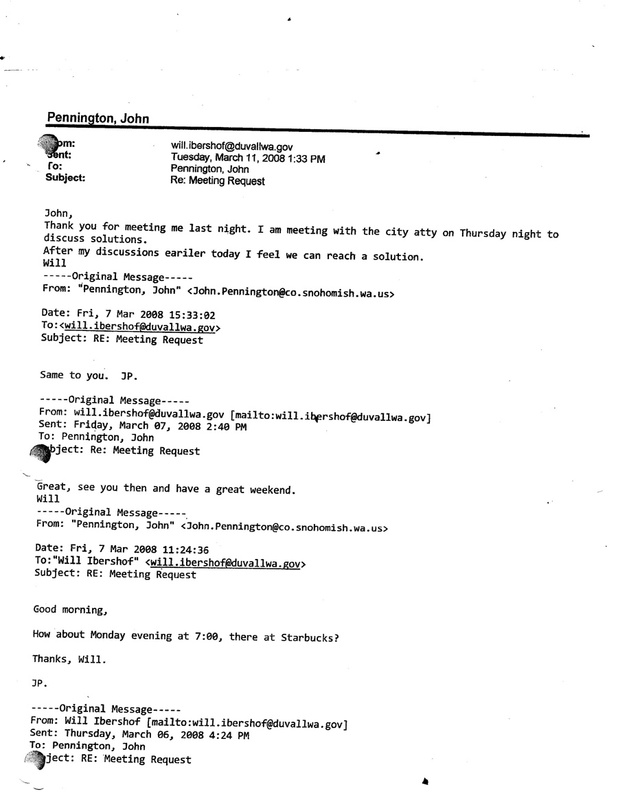 So Mr Pennington is meeting the Mayor in secret and not wanting his wife to find out? Shortly after this Pennington’s charges were dropped, Anne resigned from the council and Kenyon Disend got the city contract. 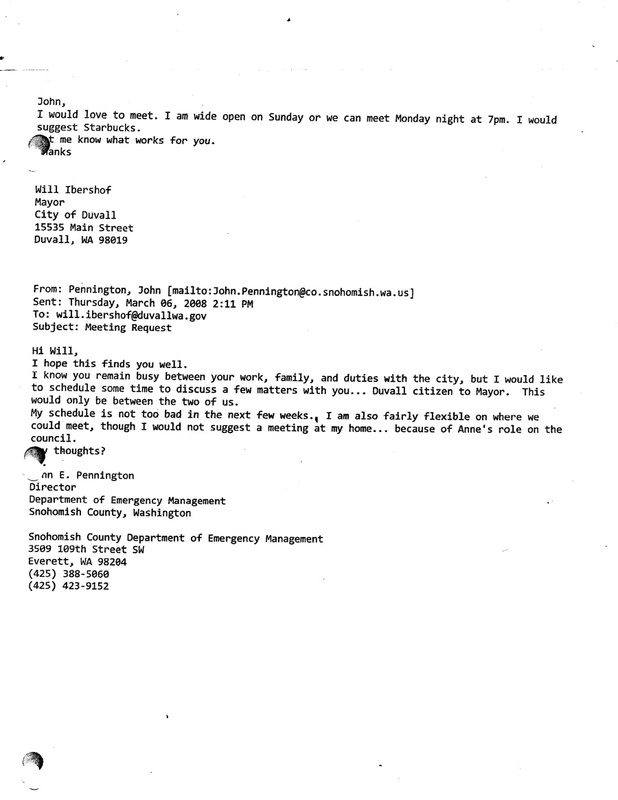 Pretty shady… Plus he was using his county email and doing this on county time. I am still trying to find out what might be substantially and irreparably damaging to the Pennington’s if released. We’ll let you know as soon as we find out.